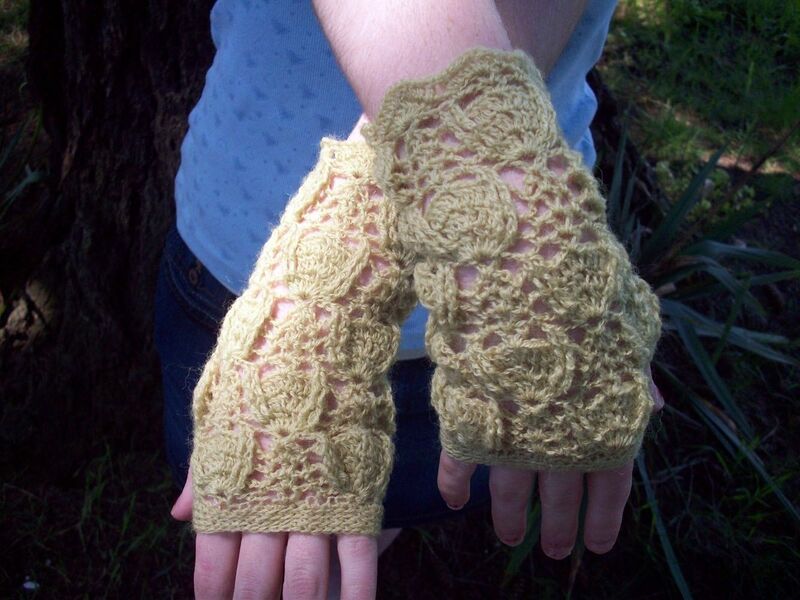 You'll be smitten with these dainty fingerless mittens! I call this style of lace the trilobite pattern because it reminds me of those ancient fossilized crustaceans. Elegant waves of scallops trim the edges. 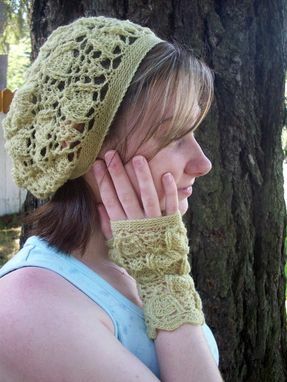 The finger and thumb holes are rimmed in rows of stretchy crochet for fit and comfort. 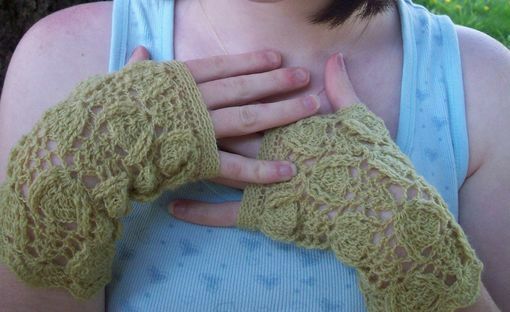 The wool yarn used to crochet these fingerless mittens is upcycled. 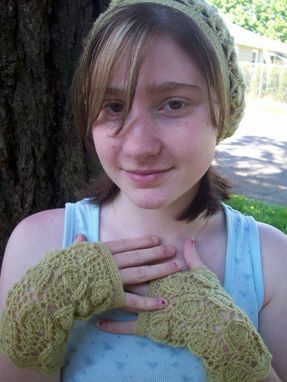 If you would like to purchase the hat and fingerless mittens as a set you can have them for $55. Contact me and I will make a custom listing for you.